We provided this colourful zig zag chevron design which consisted of seven of our stock colours of sequins for Habitat UK London flagship stores. This was as part of their Christmas Visual Merchandising 2017 roll out. 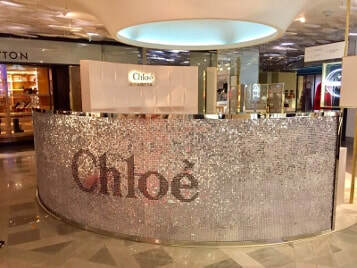 Our 15mm sequins were used in order to create a highly pixelated design to the client’s specifications. 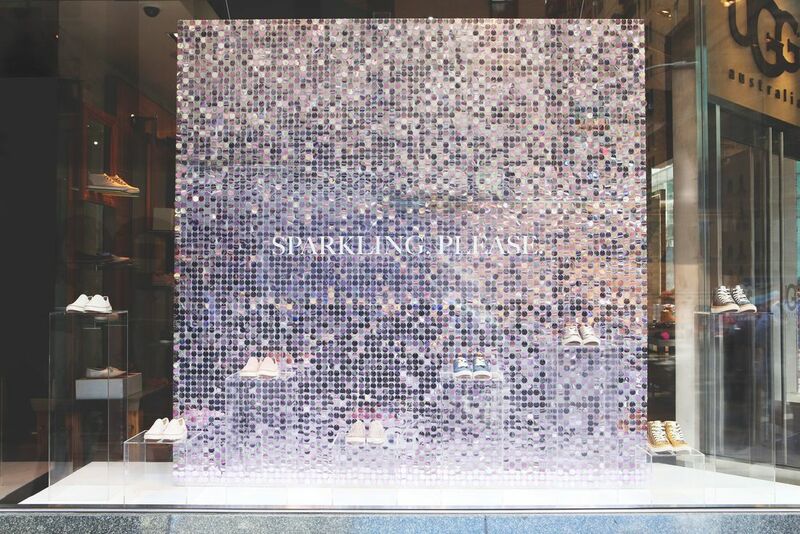 This design was reflected in other design elements in their store windows and décor within the store to create a cohesive Christmas VM scheme. 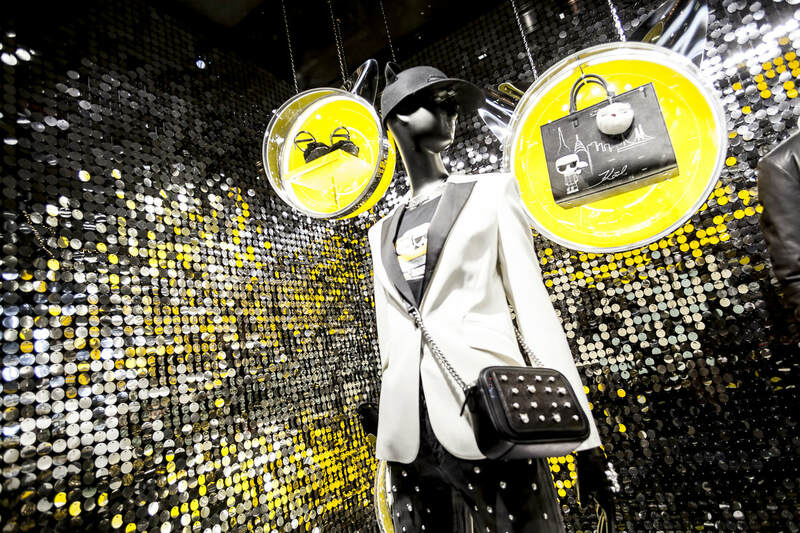 The coloured sequin boards were used to decorate Point of Sale areas, the store windows and walls within the stores. Sequin colours used were: gold, red, royal purple, green, turquoise and magenta.